Set of 2 tires with molded in wheels. These tires measure 50mm tall and 28mm wide. 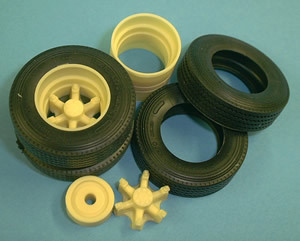 Cast resin wheels with soft urethane tires. Contains 1 axle set, 2 inner, 2 outer wheels, 4 tires and 2 hubs. REAL ALUMINUM WHEELS WITH CAST RESIN LUG NUTS. COMPLETE SET FOR 3 AXLE TRUCK. 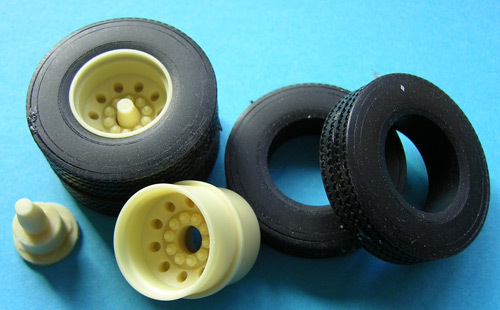 RESIN WHEELS WITH RUBBER TIRES. Drive axle set of rims with separate 6 spoke spyders & brake drums plus 4 Italeri rubber tyres. Pair of super single steer rims with separate 6 spoke spyders & brake drums, Italeri wide rubber tyres included. Comes with Italeri supersingle rubber tyres, & 2 mounting hubs. 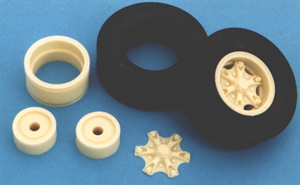 Deeper dished wheel as used in TQ-18. Wheels nuts cast in. Enough for 1 steer axle. RESIN HUB WITH BRAKE DRUM. 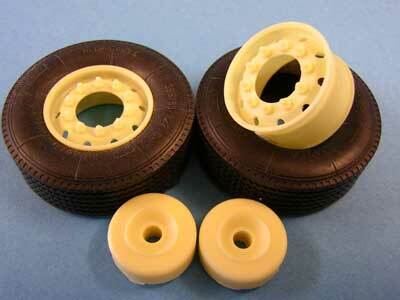 CAST RESIN WHEELS WITH BACKING RINGS, LUG NUTS AND SOFT RESIN TIRES. PERFECT FOR 1/24TH AND 1/25TH WITH LARGER TIRES (22" TO 24") ON DUMP TRUCKS, HEAVY HAUL TRACTORS, TOW TRUCKS, MIXERS, ETC. 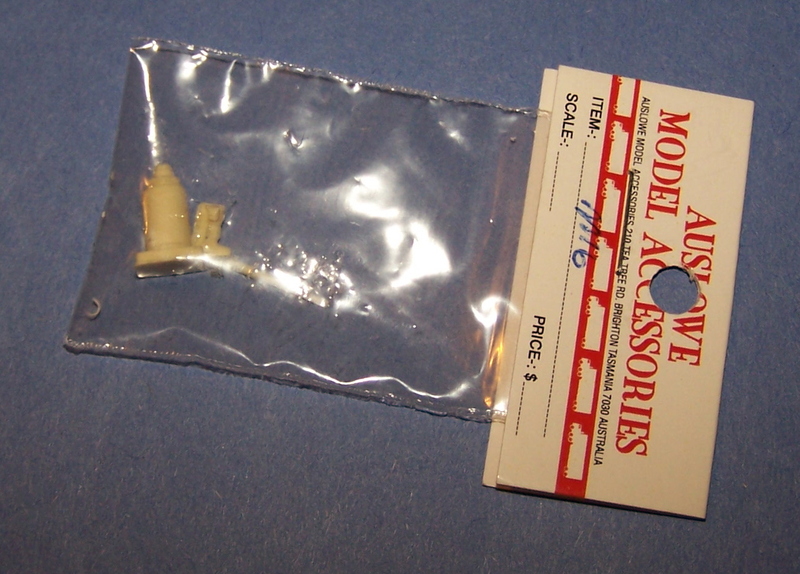 EXCELLENT FOR TAG OR PUSHER AXLES AS WELL. 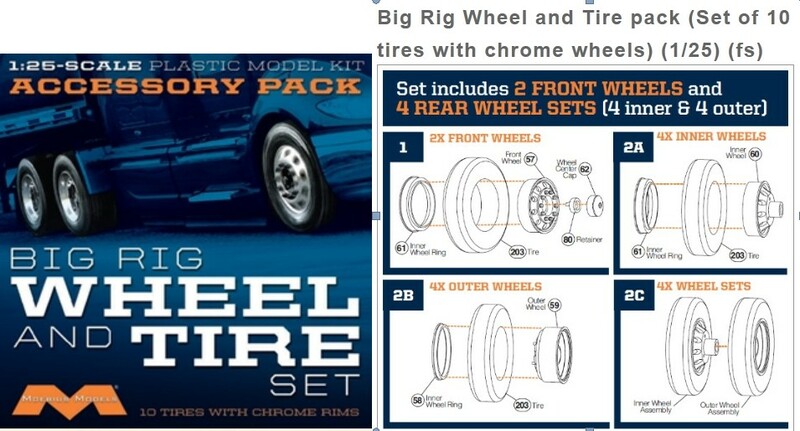 SET OF 10 TIRES WITH CHROME 10 HOLE WHEELS 1/25TH SCALE. INCLUDES 2 STEER WHEELS AND 8 DRIVE WHEELS FOR A TANDEM AXLE TRUCK.